Twelve years after Star Trek was last seen on television, it’s back! It’s back with a new ship, a new crew and a previously unexplored part of canon to unfold. Luckily, it was well worth the wait. Episode one, “The Vulcan Hello,” and two “Battle at the Binary Stars,” fantastically brings Star Trek into the modern television landscape by producing a show that, from every aspect, rivals some of the best shows on premium cable channels and streaming services. That’s not to say it’s perfect. Canon enthusiasts could nitpick these episodes to shreds — e.g. you’re still breaking the Prime Directive even if the indigenous species don’t know you’re saving their lives, but good callback referring to it as “General Order 1” — and I’m still not sold on the look of the redesigned Klingons, but these episodes do an excellent job of re-introducing us to the world of Trek and establishing the stakes for this new series. Probably the most interesting part of these premiere episodes is that they’re more prequel than pilot. 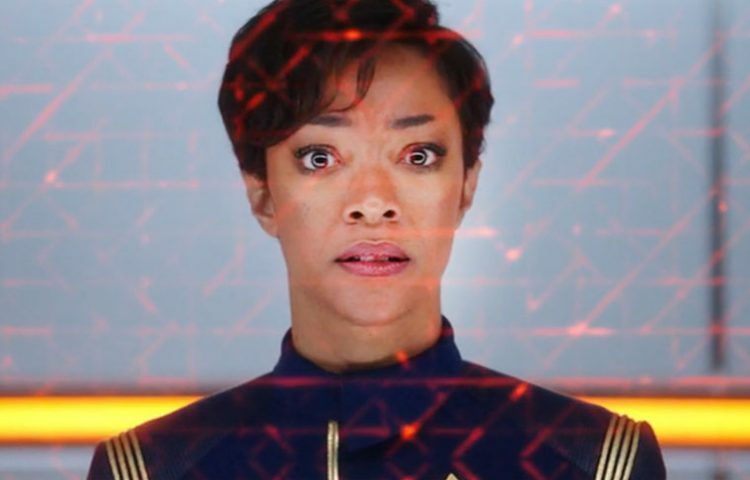 The four previous live-action Star Trek series all began with a traditional “get the band together” episode, but Discovery bravely skirts that trope. Instead, only two of the main Starfleet characters in this two-parter will continue on to the rest of the show, which allowed the writers to take chances they normally couldn’t, like killing off two would-be leads in Ensign Connor (Sam Vartholomeos) and Captain Philippa Georgiou (Michelle Yeoh). Given where the episode ends, we may have to wait another week or two before we actually get to what could be the traditional pilot episode. All of that would be secondary if the show doesn’t work, but it does in droves. Despite the abundance of credited writers and executive producers — often a sign of a troubled production — the premiere is a slick, fast-moving fun two hours of television that still brings the social commentary that for which Star Trek is best known. T’Kuvma (Chris Obi) wishes to unite the disparate Klingon houses by going to war with the Federation. His reasoning: he believes Klingons are stronger when they remain pure, while the Federation dilutes its member species into one. Michael Burnham (Sonequa Martin-Green) has run into the Klingons before. Her parents were killed during a Klingon raid of a science station when she was young. She was saved by Sarek (James Frain) who took her in and raised her in the Vulcan ways. Upon graduating from the Vulcan Science Academy, the first human to do so, Sarek was able to get her a position on the USS Shenzhou, which is where we find her seven years later at the start of the episode. Having spent that long off Vulcan has helped her rediscover her humanity; she’s less of the stiff Vulcan type now and has fallen into a slightly antagonistic brother/sister relationship with Lt. Saru (Doug Jones), Shenzhou‘s Kelpian science officer. After Burnham briefly talks with Georgiou about getting her own command, all of that progress seems to go out the airlock when the Klingons show up again. PTSD and unflinching Vulcan logic take over as Burnham mutinies in order to do what she thinks will save the ship. It creates an interesting conflict with the Starfleet crew, but it ultimately doesn’t matter, as the Klingons are so hell-bent on war that nothing will dissuade them. 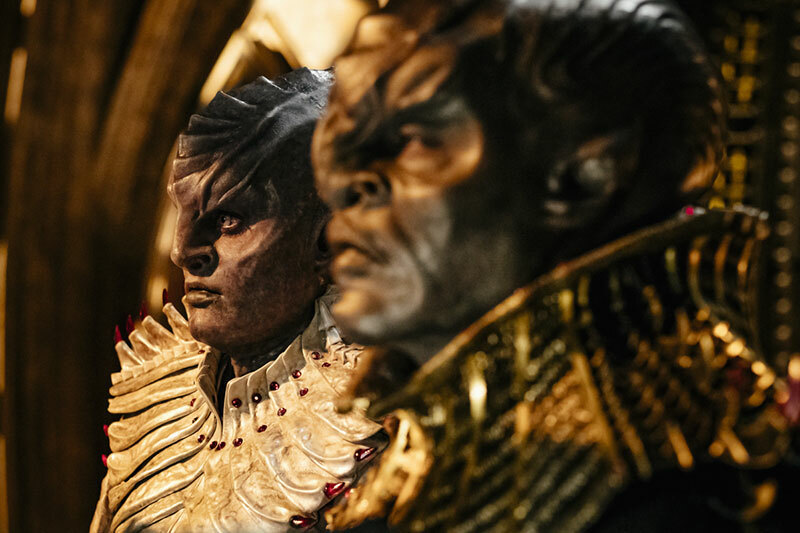 The title of the second episodes explains what happens next, and it ends with the ship abandoned, the captain and T’Kuvma dead and the series lead sentenced to life in prison. How’s that for a pilot? From a production standpoint, everything is top notch, save for one or two small CG elements. The episode looks and feels cinematic, though it’s obvious Kelvin-verse aesthetic influences may be a deterrent for some. The acting is uniformly amazing, with Yeoh and Martin-Green being the obvious standouts. It’ll be interesting to see the different dynamic Burnham and Captain Gabriel Lorca (Jason Isaacs) have as the series progresses. There’s a lot of questions still remaining — that’s the nature of serialized television — so it’s hard to ultimately grade these episodes without knowing to what they’re building, but one thing is certain: Star Trek is back, and it’s amazing again. This level of this production is “big screen” in every way, shape, and form. I don’t think any of the big screen Trek films even came close to the level of production on Discovery. From the very first opening scene, my mouth dropped in how this show was presented. It is hard to believe when watching this that it is, for all intents and purposes, a television show. It is THAT big. The premier started the arc in an amazing way and I cannot wait to see what they do every single week. There is a lot going on, but not too much to oversaturate the viewers with A, B, and C stories all at once. The main storyline is as big as you can imagine and they have a plan set up to answer questions that people may have about different things (Klingons, technology etc). 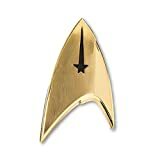 The writers of Discovery are huge Trek fans, just like we are and I have no doubt that we are in good hands. Other story points are magnificent, and I can say without spoiling anything that Saru, as expected is already my favorite character. Doug Jones recently stated in an interview that the constant bickering between Saru and Burnham is a great plot point, and they pull it off spectacularly. This is Spock/McCoy & Odo/Quark that is done without going over the top and the chemistry between the two is wonderful. Holy $#@%! Yes, you can insert any expletive here you want because you will be saying the same thing when you see the effects that are on this show. The interior of the ships are amazing. The panels are beautiful and they are NOT CGI. All the stuff you see onscreen on panels is exactly what the actors saw when filming. It is wonderful and I loved the blue tones of the panels and the entire bridge of the Shenzhou. I am a proud supporter of the Kelvin timeline and I like that the team was able to bring some subtle Kelvin qualities into the ship and specifically the bridge. It is not a bad thing folks. The exterior shots of ships and space are detailed to a level I have never seen before. It is as if actual images from the Hubble Telescope have been brought to life. I have said in the past that I love the time we are living in because when it comes to movies, television and special effects, we are at a point technologically where we cannot differentiate between what is real and what is a special effect and I LOVE that. Discovery continues this trend and the effects, from the smallest level to the large-scale battles are perfection. The Borg would be proud. 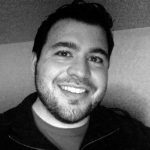 Hats off to Mr. Jeff Russo. He has done what personally I have been waiting for since the end of Voyager. A score that is graceful and beautiful and pulls you in. The main theme is brilliant in pulling in the key notes of the original Alexander Courage theme and then forking off into a wonderful melodic modern day score, but then right at the end throws another brilliant aspect of TOS right back at you to bookend what is sure to become instantly recognizable as Trek. But that is not all – throughout the premiere episode, Russo does what I love so much about my favorite episodes of Star Trek…the music itself can become its own character and enhance the scene to another level. This is brilliantly done with a special scene between Sarek and Burnham when she is in the brig. I look forward to the release of a Discovery Soundtrack because it will be downloaded to my playlist as soon as it’s available. I can’t say much about the sounds that I heard in the episode because it will give away something that I think people should not know about before seeing and hearing it for the first time. By sounds I mean, equipment sounds, bridge sounds, etc etc. I do think this will be an area where some people will be critical, but I am not one of those people. I LOVE what they have done and I also think that the writers will have a way to explain why things sound the way they do. Small tangent to prove my point – people were critical of the images of the USS Shenzhou’s transporter room when they were released. The explanation is given in the premiere and it is quick and perfect. Doug Jones is a great actor. He is well known for roles that require a huge amount of prosthetics and he is able to bring these creatures and characters to life in ways that most people who are covered in latex can’t. When the first images of Saru were released, I thought that there may be some kind of CGI associated with his makeup, but after seeing him in action, I don’t think there is (well maybe one tiny part). He is brilliant and deserves every amount of credit I am giving him here. Ok Captain Georgiou is awesome! 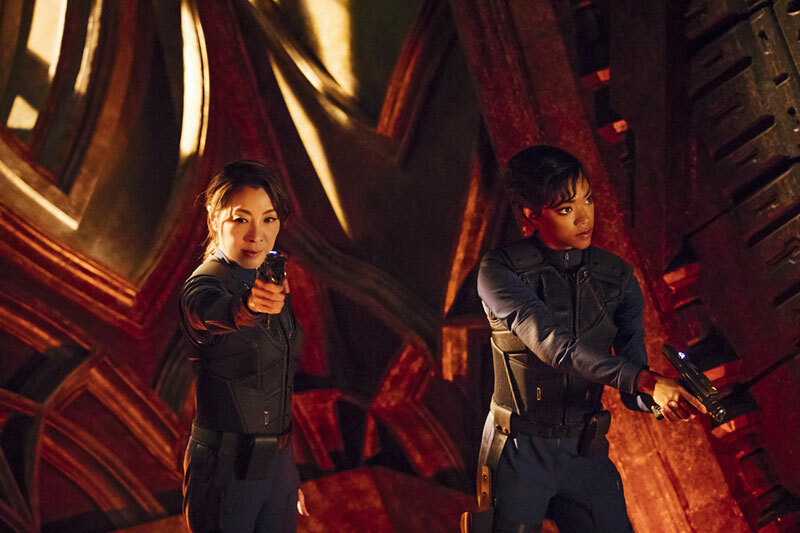 I love this new Captain and Michelle Yeoh is absolutely perfect as Captain of the Shenzhou. Her friendship with Burnham is clear, yet her dedication to the ship and Federation is as strong and unwavering as any Captain we have ever seen. It is as if the captain’s chair was MADE for her. And I have to say she is stunningly beautiful… OMG that lock of hair that she always has placed perfectly down the side of her face to her uniform was simply gorgeous! Sarek is the only tie for Discovery to the Original Series (at least so far) and Mr. Frain seems like a perfect younger version of the legendary Mark Lenard. The relationship between Sarek and Burnham will be made clear through the series, but in this first episode, you see that Sarek is going to be a crucial figure on the development of the story and the back story. 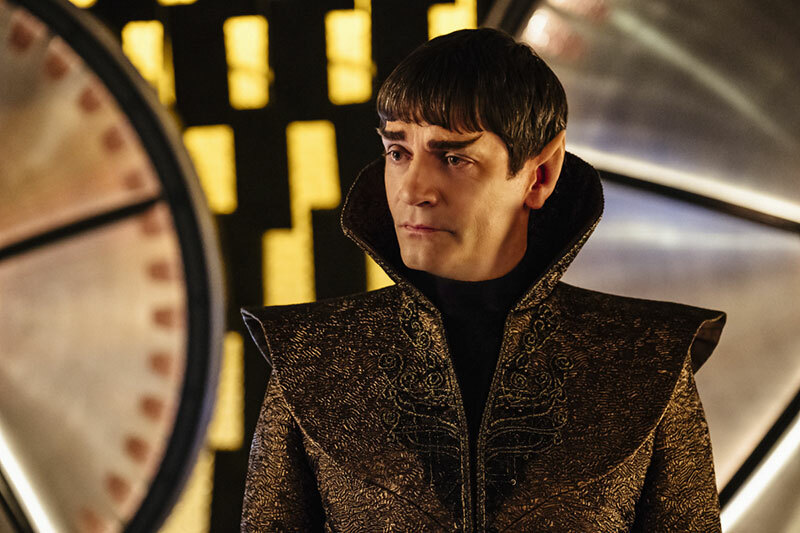 Frain is amazing and I have to say, prior to the premiere on Tuesday night, Frain appeared onscreen as Sarek to tell people that spoilers and sharing details of the episode would not be a good thing. The short clip was hilarious without any humor – especially since it was being presented by a Vulcan. At first, I think everyone thought that this was the very first scene of the show, but when it became apparent that it wasn’t, it was simply hysterical – and a great move by the powers that be at CBS. Everything you have heard about her performance at Cmdr. Burnham are don’t accurately describe the level of dedication that she has thrown into this role. It is mind boggling the responsibility that Martin-Green is taking here. Star Trek is now officially being carried on her shoulders and as Alex Kurtzman said at the premiere, she is now the ‘new Queen of the universe’. Martin-Green’s character has many many layers and she has to be able to present these layers in a way that isn’t over the top but on the other hand is believable and she is able to do so without any difficulty at all. 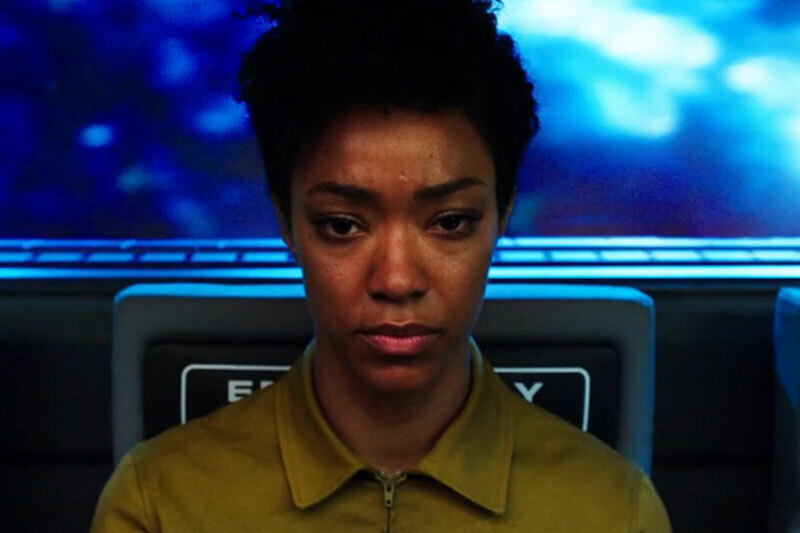 Burnham has Vulcan tendencies and to be honest Vulcan arrogance, yet she also has Human impulses and Human emotions that, like Spock are in constant conflict. Even though she is 100% human, being raised on Vulcan has definitely caused her to act more Vulcan especially in her younger years, and when the time comes for her to make difficult decisions, Martin-Green does so masterfully. 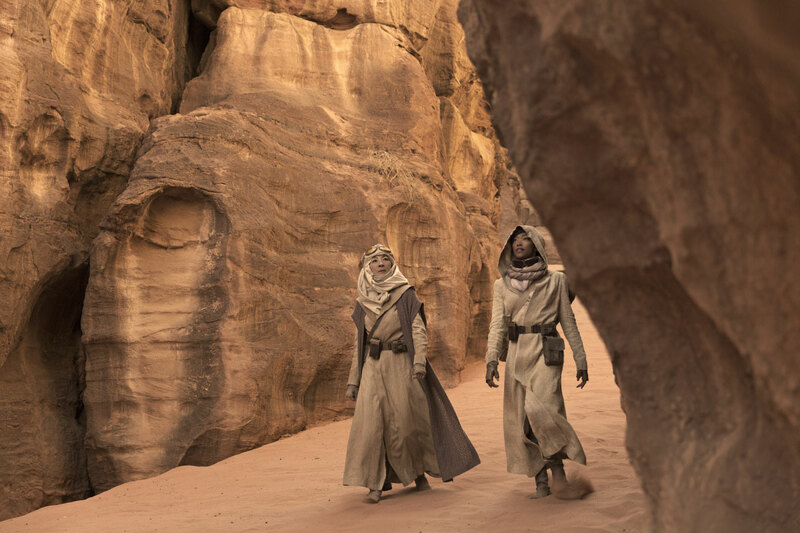 Discovery‘s “main character” is in good hands, and from what I saw in the teaser for ‘this season on Star Trek: Discovery‘ we only caught the tip of the iceberg for Burnham in the premiere! 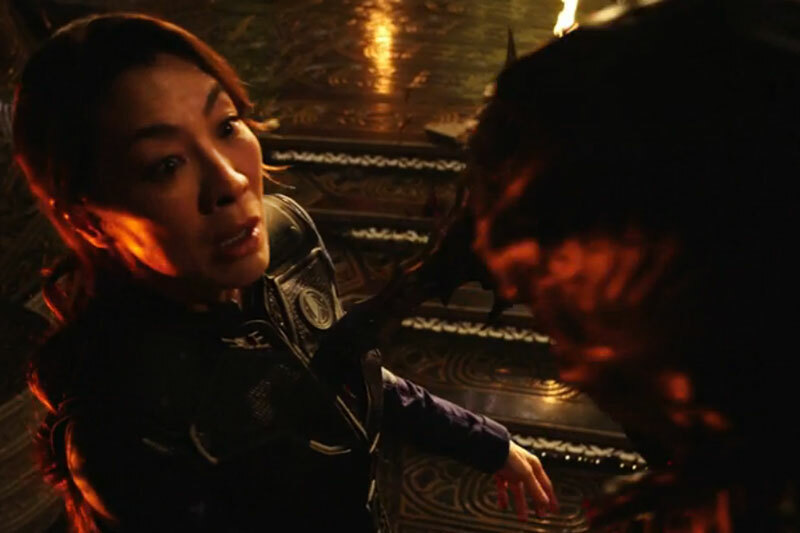 What did you think off the first two episodes of Star Trek: Discovery? Share your thoughts in the comments below.